Which of the major global companies have bad website design? Trick question – the answer is none of them! These days even new businesses understand how vital it is to put their best face forward online with a well-designed, visually appealing website that is easy to use to help build their brand and grow their business. 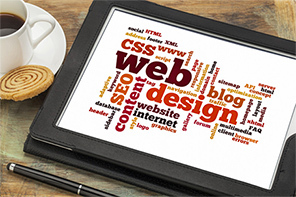 Web design is just as important a consideration as your site’s content. A winning combination of the two will provide the best user experience and keep traffic flowing – meaning more potential customers for you! Don’t leave this up to chance. Magentiv’s experience and skill mean that when it comes Magento web design services, we know how to showcase your services to the world in the best way possible. Magentiv is a Sydney-based agency offering Magento website design for everyone’s needs and budget, from fledgling start-ups through to established companies, including Magento customisation, Magento maintenance and Magento SEO. Magento is one of the leading ecommerce platforms today, offering a rock-steady online store for business small, large, and everything in between. Features such as multi-store functionality, various product display options, major payment gateway integration, mobile responsiveness, catalogue filtering, powerful product categorisation, customer accounts, loyalty programs, discounts and promotions and more mean that Magento is a flexible platform with a wide scope of functionality. The Magento software also allows customisation of the “look and feel” of your online store to fit your company branding. Magento is an amazing solution for ecommerce sites but it takes expertise to maximise its potential, especially when it comes to web design and usability. Take advantage of Magentiv’s years of experience working with the platform to make sure your Magento ecommerce site is well designed, offers impeccable user experience and all the functionality you need to stand out in the competitive world of ecommerce. Our expertise and guidance will keep you on the right track to success. The Magentiv team take pride in our staying power and years of service in such a fast-paced industry as ecommerce web design. Our professional approach and knowledge of online marketing and ecommerce web development mean that you can build your online presence and strengthen your brand in the eyes of consumers. Team up with Magentiv not only for a robust, reliable ecommerce site, but for a partnership that will help you grow your business and your company’s reputation. With the short time that I have dealt with Magentiv, I have been overwhelmed with the support and effort everyone puts in. Creativ digital are very professional, reliable and are willing to go above and beyond to assist in any way possible. I am very happy with the level of service and what Creativ Digital have done for Eco-Farms, so much that I tell everyone who designed, created and maintains our website. I will and do recommend Creativ Digital to everyone.